As South Africans look to the future, and the country rapidly modernises, it’s more important than ever to maintain a connection to the traditions that have shaped our identities – by updating and making them relevant for the 21st century. 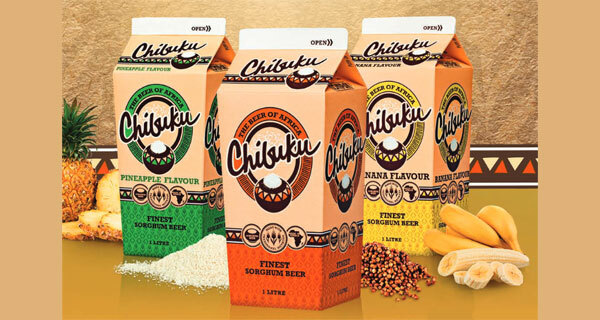 Sorghum or opaque beer is an example of a local tradition with 6 000-year legacy; and Chibuku is a heritage brand that originated in Zambia in the 1960s. However, despite being the biggest, best-known brand in the sorghum beer category, it wasn’t being drunk by the bulk of clear beer consumers (LSM 4 to 6), especially younger consumers in urban areas. According to the brand’s marketing manager, Siya Mbuzsana Vithi, this necessitated a brand repositioning, the introduction of new flavours, and a redesign of the conical carton pack, making it more relevant and accessible to LSM 4-plus consumers. Vithi describes these consumers as being proud of modern South Africa, but respectful of tradition, making them comfortable with blending heritage and modernity, especially at social gatherings. To recruit new users to the brand, and to the opaque beer category, it was necessary to develop a new brand purpose. ‘Chibuku exists to keep alive the traditions which made us who we are, and to make them relevant for the new generation of South Africans,’ Vithi explains. Furthermore, to align with this brand purpose, United National Breweries introduced pineapple and banana flavours and redesigned the Chibuku pack to give it a premium look and feel (allowing it to compete with clear beer products). ‘This has helped position Chibuku as the flagship, high-quality and modern option in the opaque beer category,’ Siya maintains. Nampak Liquid Cartons sorghum beer producer, United National Breweries, have collaborated for many decades, with Nampak producing over 12.6-billion Conipak cartons since the 1970s, reflecting consumers’ trust in this instantly-recognisable, tamper-evident format that has become the iconic pack for Africa’s sorghum beer industry. The Conipak carton’s shape – narrow at the base and wide at the neck – helps the fermentation process of this live product, while special ‘chimney’ vents in the gable top allow gas, given off by continuing fermentation after packing, to escape and prevent the pack from bursting. Although the conical shape has remained unchanged, the choice of board has kept up with international technological advances. Additionally, the fit-for-purpose pack fulfils its economic purpose in the price-sensitive sorghum beer category. The carton pack redesign was a finalist in the beverage category in the 2017 Gold Pack Awards.